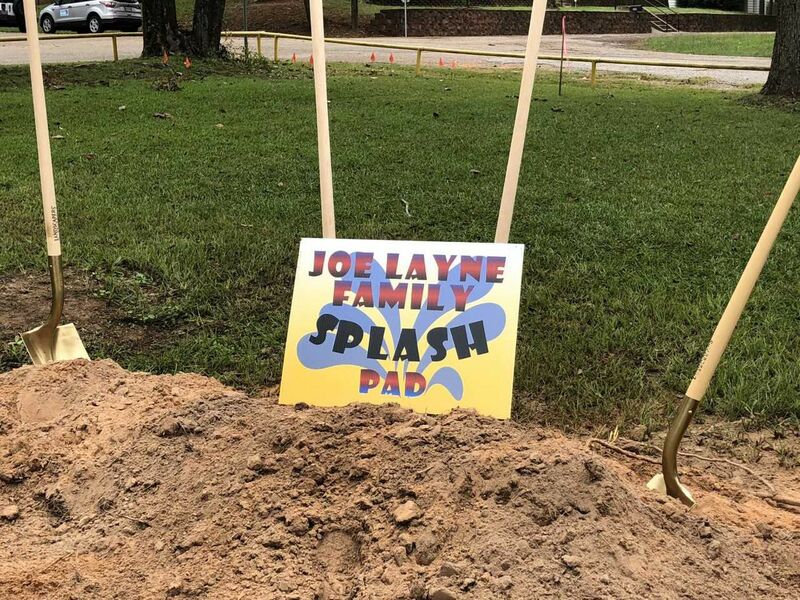 Splash Pad coming to East Texas | Jasper Ventures, Inc.
TROUP, TX (KLTV) – The City of Troup, in cooperation with the Joe Layne Family Splash Pad broke ground Monday. The 1,574 square foot splash pad will be built in the city-owned Zack Taylor Park, located at the corner of East Calvert and South Virginia Streets, according to a press release. “It’s really going to improve our community, kids are going to have a place during the summer to cool down, so we’re really excited about that,” according to Troup City Councilman Jeff Hale. The Troup Community Development Corporation (TCDC) approved a $10,000 contribution and later offered matching funds for community donations up to $13,250, according to a press release. Substantial donations came from the Jasper Family Fund at East Texas Communities Foundation as the Jasper Ventures Employee Directed Giving Fund at East Texas Communities Foundation. Troup Elementary second graders held a lemonade stand on their playground and presented $937.40 to the Troup City Council, according to TCDC Executive Director Suzanne Loudamy.